6000P | Thermodyne Foodservice Products, Inc. 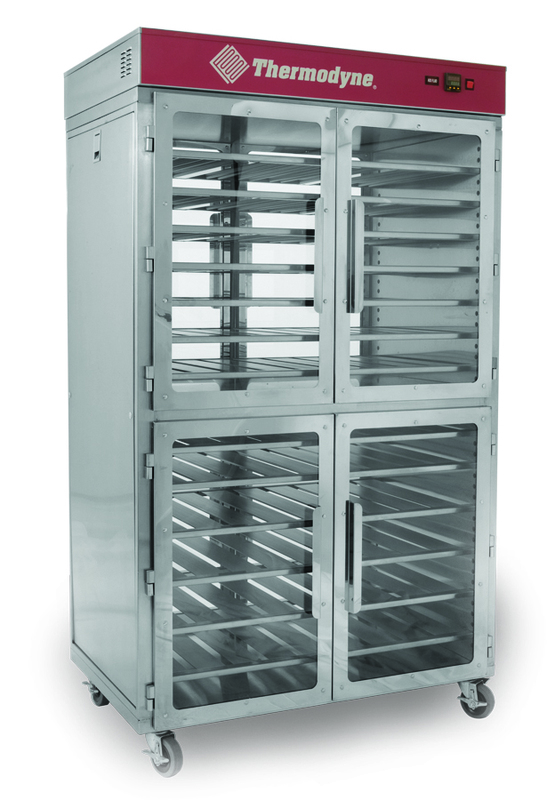 Designed as a larger alternative to our 250PNDT, Thermodyne's 6000P pizza holding cabinet was developed for large scale holding of pizza and other packaged goods. Its standard shelf configuration provides storage of 40 15” pizza boxes; though additional shelves can be added to nearly double its capacity. Requiring only a 3' x 3' footprint, Thermodyne's 6000P holding cabinet is the most compact pizza holding unit on the market.